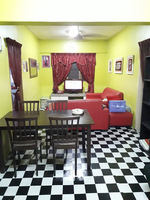 Taman Aman Putra is a Leasehold Apartment located at Jalan Aman Putra, Taman Aman Putra, 52000 Jinjang, Selangor. Taman Aman Putra comes with 5 blocks of 9 storey building which comprises a total 900 units. The built-up size of the unit measures approximately 720 sf in size. 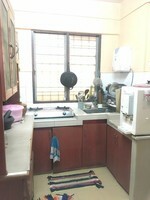 All units come with 3 bedrooms. Taman Aman Putra provides facilities such as restaurants, covered parking, open parking, mini market, badminton court, playground, jogging track and 24-hour security. Taman Aman Putra is near to amenities such as shopping mall (Metro Prima Jusco, Carefour Kepong, Brem Mall,Giant Hypermarket), public transportation (Kepong KTM Station), colleges (Kepong Metropolitan Lake Garden, Forest Research Institute Of Malaysia (FRIM)) and schools (SJKC Jinjang Tengah 1, Jinjang Health Clinic, SJKC Jinjang Utara, SMK Jinjang and SMK Kepong). Taman Aman Putra can also be connected via roads such as Jalan Benteng Utara, Jalan Aman Putra, Jalan Kepong, Jalan Ipoh, Jalan Kuching, as well as highways namely Middle Ring Road 2 (MRR2), Selayang - Kepong Highway, Duta - Ulu Kelang Highway and North - South Highway. Get me good deal if there is any units available in Aman Putra Apartment.